Lenders and Realtors who establish a strong Twitter growth strategy and continually engage their prospects and clients on the platform will eventually find the need for determining what is driving the most success. That's where Twitter Analytics comes into play. Twitter Analytics gives real estate and mortgage professionals the chance to breakdown their content strategies and brand exposure tweet by tweet. Which Numbers Matter In Twitter Analytics? Twitter offers a dashboard for staying up to date on how your profile is doing and logs your past reports. You can view how individual tweets are doing by looking at the impressions, engagements, and the engagement rates on your desktop or mobile device. Impressions are the number of times a user saw your tweet. 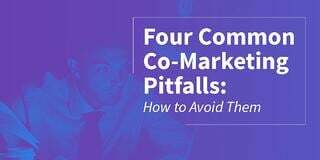 When somebody clicks on your tweet, handle or the media attachment, that counts as an engagement. The engagement rate is the number of engagements divided by the number of impressions, giving you a percentage. After you're all set up on Twitter, you can access the full Analytics dashboard on your desktop. Twitter Analytics isn’t available on the same scale for mobile, but you’re still able to track your impressions and engagements by viewing an individual tweet’s activity. After you navigate into the Analytics dashboard, you find a complete overview of how your profile has performed over the past month. By looking at the numbers, you can see what works and what doesn’t. Below, you see things like your top tweet and mention, along with other top-performing aspects of your profile on a month-by-month basis. Down the side, you see graphs showing data on your impressions, engagements and more. The “Tweets” page goes a step further. Like the complete overview across the top of the Analytics home page, the Tweets page offers a valuable asset. The graph that runs along the top of the page shows how much you’ve tweeted on any given day within the last month, along with the number of impressions. 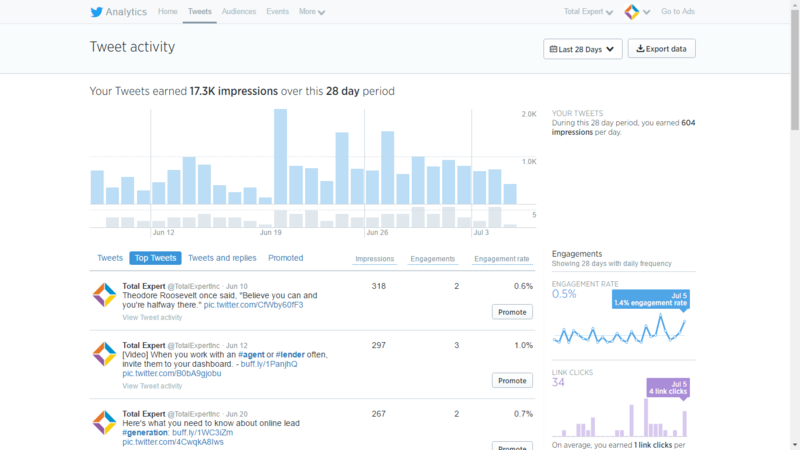 What Can We Learn From Twitter Analytics? One of the most important aspects of this graph is that it shows you when you’re attracting an audience. The biggest takeaway from this graph is to see which days of the week seem to consistently bring in a lot of traffic. Take note of how much content you shared that day, what kind of content, and what time of the day you sent out tweets. For sites that produce primarily “business” content, Tuesday and Thursday are the best days for high-engagement sites to share content. For mid- to low-engagement sites, Tuesday is typically the best day, and Wednesday follows. HubSpot brought together information that shows when the best time of the day is to post on various social media platforms. For Twitter, it’s between noon and 3 p.m. Monday through Friday, according to the report. In this way, you can begin making a content strategy, focusing in on what content goes out at which times. Through these insights, you’re able to find how much impact your tweets have and who goes to your timeline. 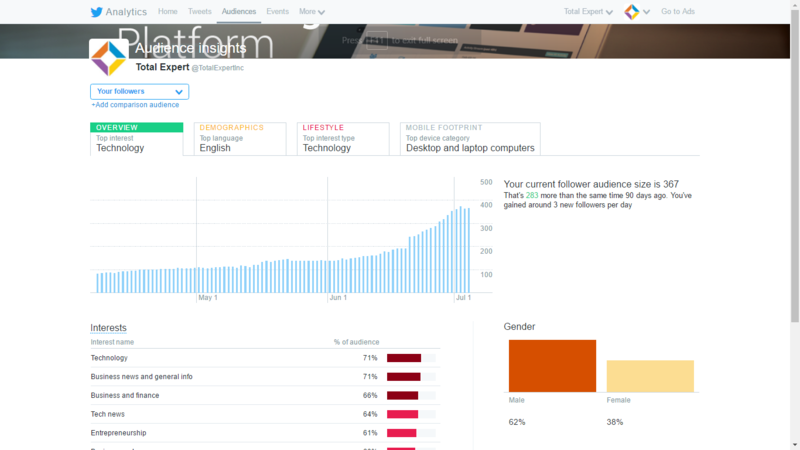 Look under the “Audiences” page for a report on the growth of your following. Scrolling down, you get a report on what the interests of your audience are, where they’re coming from, what language they speak and more. Knowing who your audience is and where they’re coming from is important information to have when you’re building content strategies on Twitter. By using the analytics, you can track early on if you’re hitting your target and when to re-evaluate your technique.